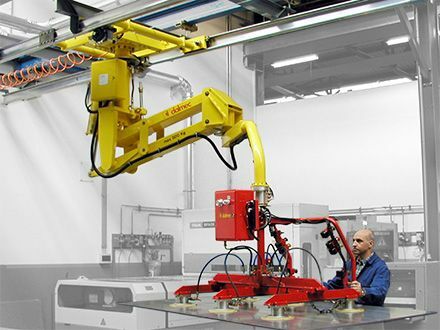 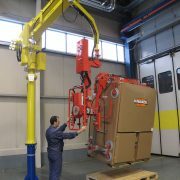 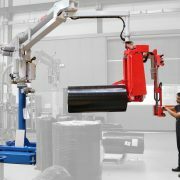 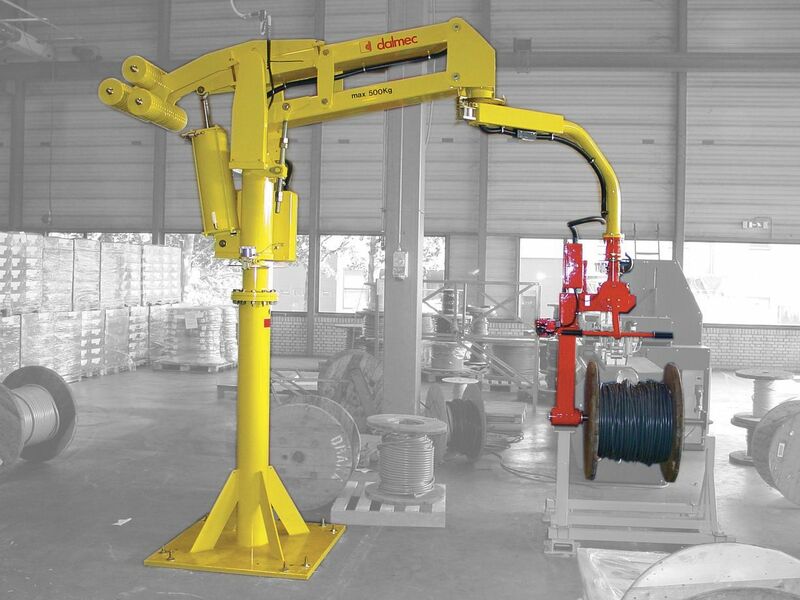 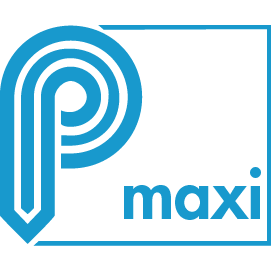 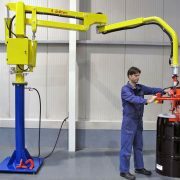 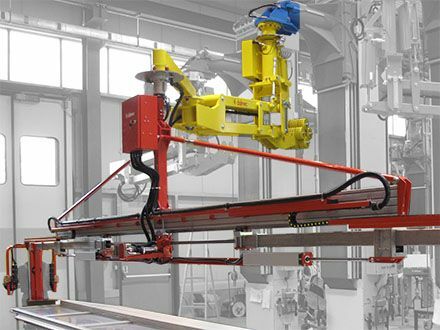 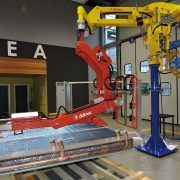 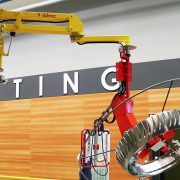 Pneumatic Manipulator MAXIPARTNER MX with articulated arms, equipped with special gripping tools, is suitable to handle heavy (max 900 kg) and also off-set loads, in any direction, allowing the operator to work with the minimum effort in good ergonomic and safety conditions. 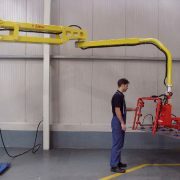 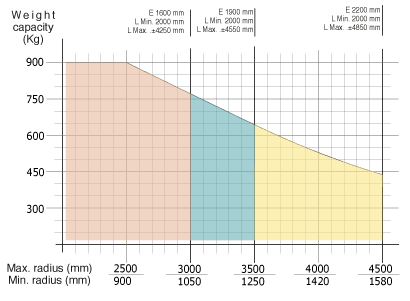 Its slim and strong structure eliminates the “drifting” effect. 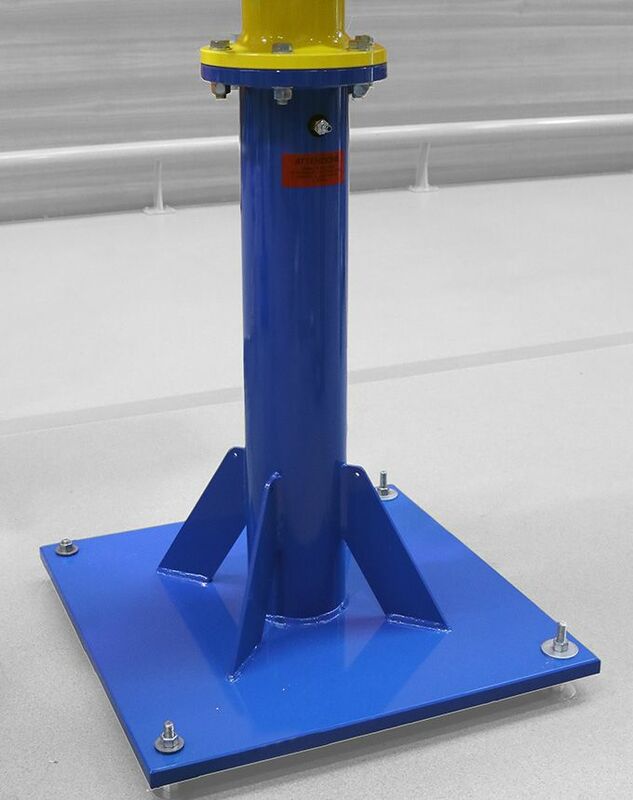 A pneumatic cylinder fed with compressed-air, combined with a transmission lever system, provides balance to the load weight applied. 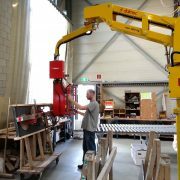 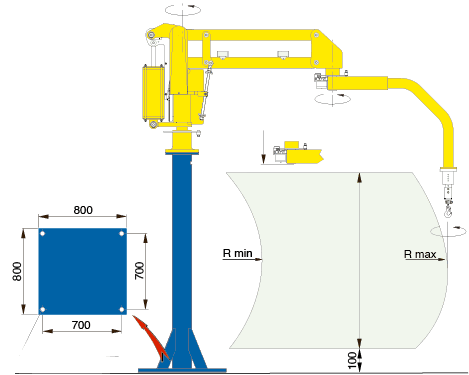 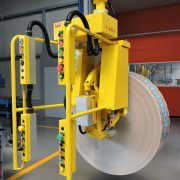 The operator can change the load level simply operating a pneumatic control lever. 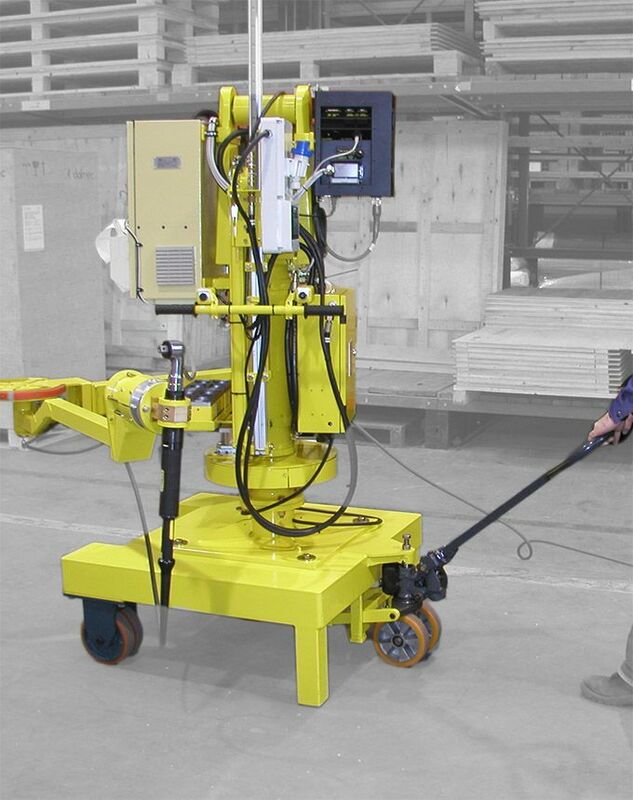 The pneumatic manipulator Maxipartner overhead version allows the elimination of any floor obstructions. 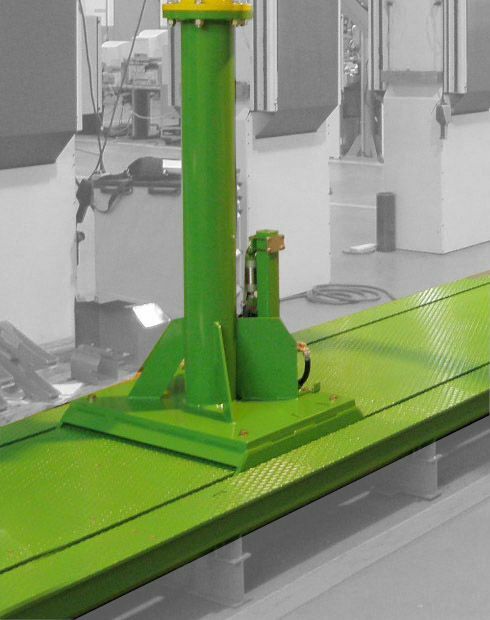 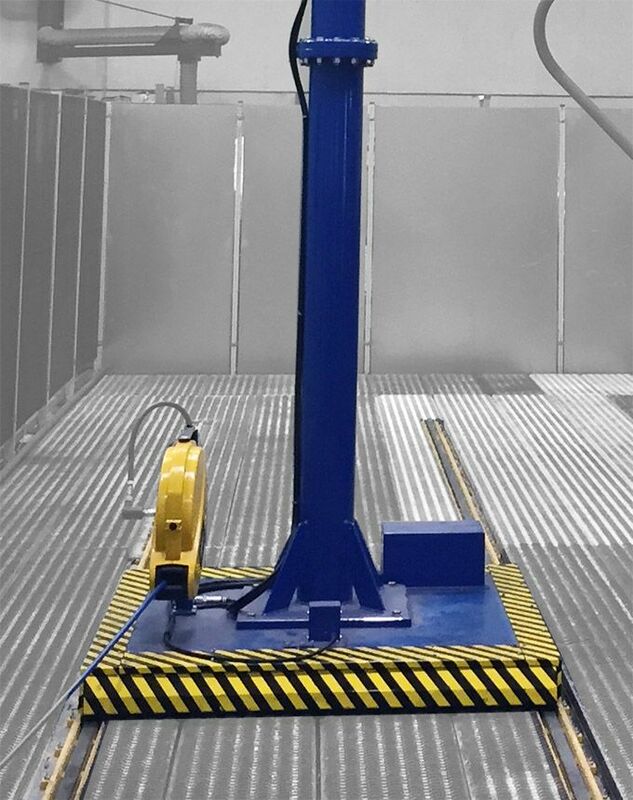 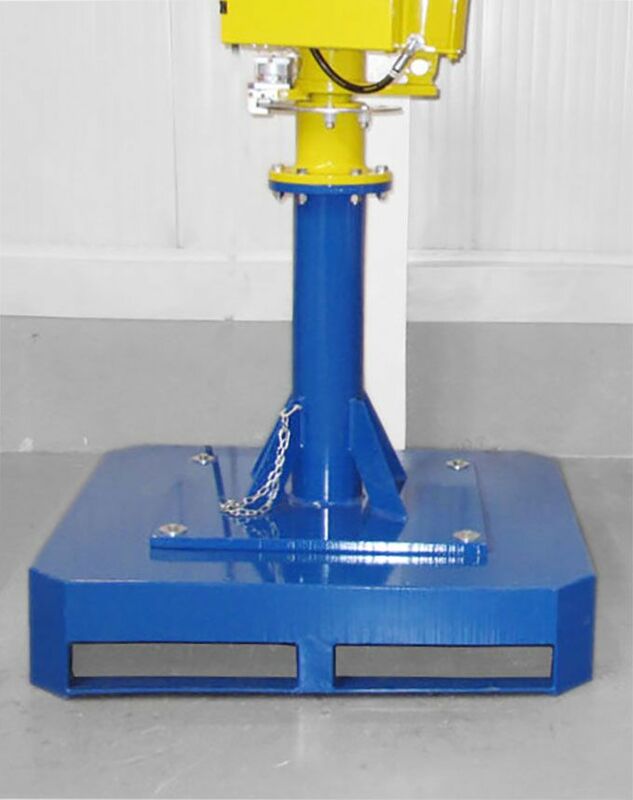 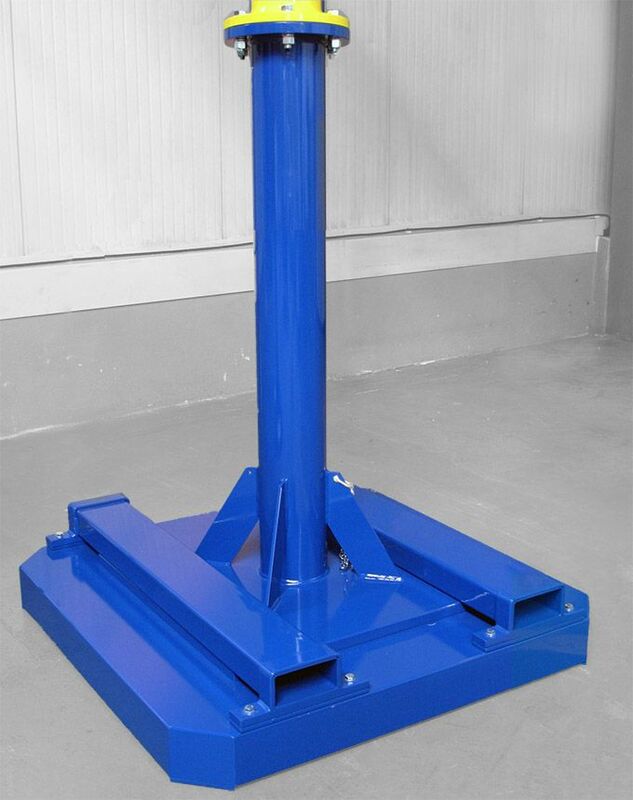 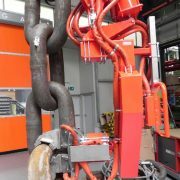 The column is fixed on the autostable base-plate, designed to allow the transfer with a pallet truck in different working areas. 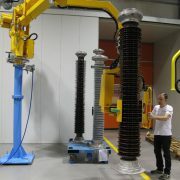 The certification is made in our plant by the qualified Engineer of a Notified Body according to the ann. 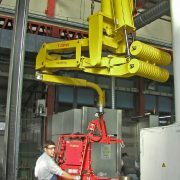 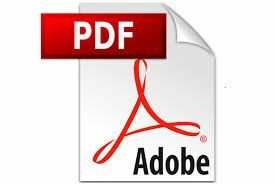 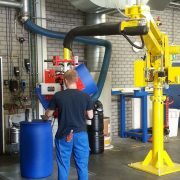 IX 2014/34/EU ATEX Directive, which ensures the total conformity of the Manipulator with the Directive.